14KT Yellow Gold Fancy set Diamond Ring. Fancy ring setting gives this classic design new life. 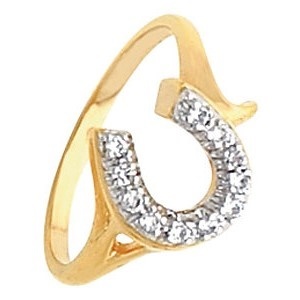 Beautiful horseshoe ring for anyone.